The injury bug has mercilessly targeted the Los Angeles Lakers, currently robbing them of LeBron James, Rajon Rondo and now starting point guard Lonzo Ball. 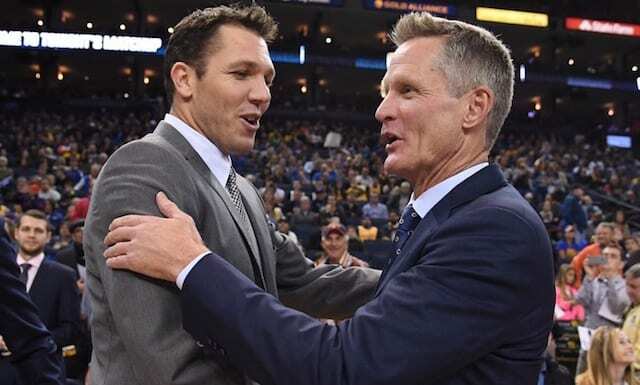 They have already seen games lost to JaVale McGee and Kyle Kuzma as well, and as of this moment have only had a full roster available for 11 games this season. Yet, despite these struggles, the Lakers still find themselves in the playoff hunt as the Feb. 7 trade deadline approaches. Given their current situation, should president of basketball operations Magic Johnson and general manager Rob Pelinka look to make a deal to land another point guard? 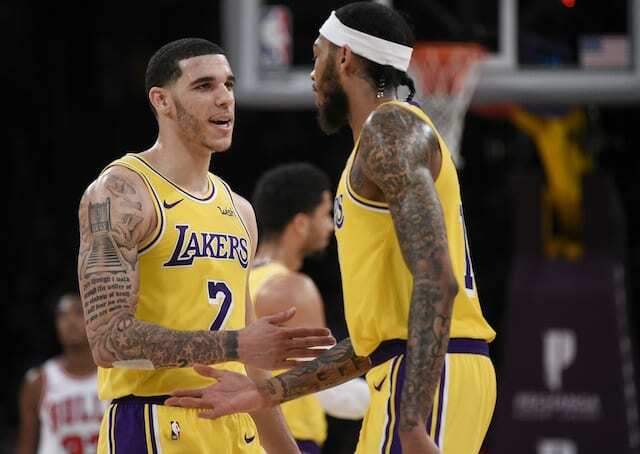 Yahoo Sports salary cap expert Keith Smith joined Trevor Lane on the Lakers Nation Podcast to break down the team’s options in these trying times. This season’s trade deadline should provide plenty of drama as a number of teams can talk themselves into — or out of — their status as playoff contenders in both conferences. With that being the case, who will swing for the fences and try to land a win-now piece to put them over the top? Who will sell off assets as they look to build for the future? We dig into what promises to be an intriguing chess match between the NBA’s general managers. Plus, what challenges face the Lakers at the trade deadline? Given their goals of having cap space to chase max free agents like Kevin Durant and Kawhi Leonard in addition to their desire to pursue a trade for Anthony Davis it won’t be easy to find a trade that brings in immediate help without sacrificing too much.